And many more things. Besides these, syringe, plate, spoon, rice, tissue and earphone will be needed. Making fun sound from a balloon by Inserting triangle-quadrilateral-pentagon shaped small objects. Making a chicken sound using a paper cup. 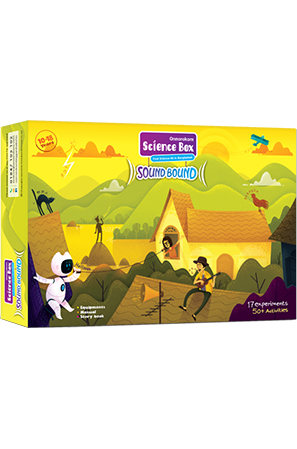 Making melodious sound with the music box and knowing the science behind this. Learning about different kind of sound waves by doing practical experiments. Measuring the intensity of sound by using dot bar module. 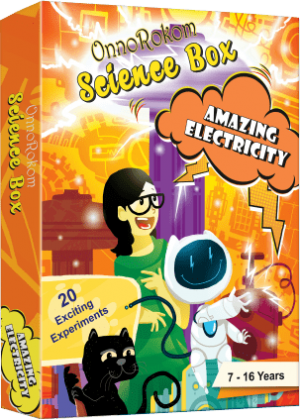 There is a total of 17 experiments and more than 50 activities in this science box. 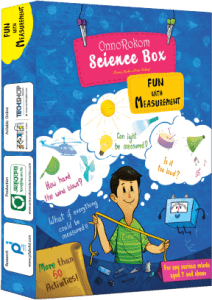 This science box is very useful for higher class students, like class 9, 10 and O-level, even A-level students will have fun! The basic nature of sound, frequency, and different kind of sound wave will be understood easily by practical experiment. The experiments will give good insight into the laws of physics, and they will be eager to know new things!